Are video games the movies of our current economic slump? 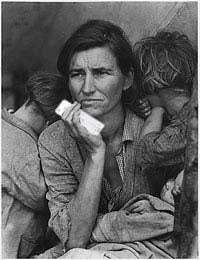 In an article wittily titled, "In Tough Economic Times, Video Games Console", NPR writer Laura Sydell explores the similarities between the growing popularity of video games in mainstream culture with the movie boom that occurred during The Great Depression in the 1930's, at time when a weary nation turned to nickel theaters to escape the grim realities of the economic climate. She compares the relatively steady sales of movie tickets to the ever-expanding gaming market, with software sales up 43 percent from this time last year. David Riley of the NPD Group says part of the reason video game sales are rising and movie ticket sales aren't is that a movie only lasts a couple of hours - it gives you less "bang for your buck. The difference, obviously, between a movie and a video game is the amount of time that you get," he says.